Twitter Storm: Protest the government’s immigration checks in the health service, they are endangering people’s lives! This April the changes documented in the Government’s ‘Making a fair contribution’ proposal will come into force. They are the latest round of measures introduced into the NHS to extend UK borders inland, and ask doctors, nurses, and allied healthcare professionals to question their patients’ immigration statuses. NHS trusts will be legally obliged to check people’s passports and eligibility before they receive care not deemed ‘immediately necessary’. People will be charged up front and care not paid for will be denied or withdrawn. GP Surgeries will be responsible for identifying people not eligible for free secondary care. non-eligible patients and be chargeable. This includes mental health services, hospices, and termination of pregnancy services. These measures will make people afraid of accessing the care they need. They are based on racist ideology, not evidence. They will lead to racial profiling and discrimination within the NHS. They are violent. These changes will build upon the already harmful effects of the government’s Immigration Act 2014, which has seen hundreds of migrant women made terrified of accessing antenatal care and threatened by the very hospitals they need to help them. No racism in the NHS! 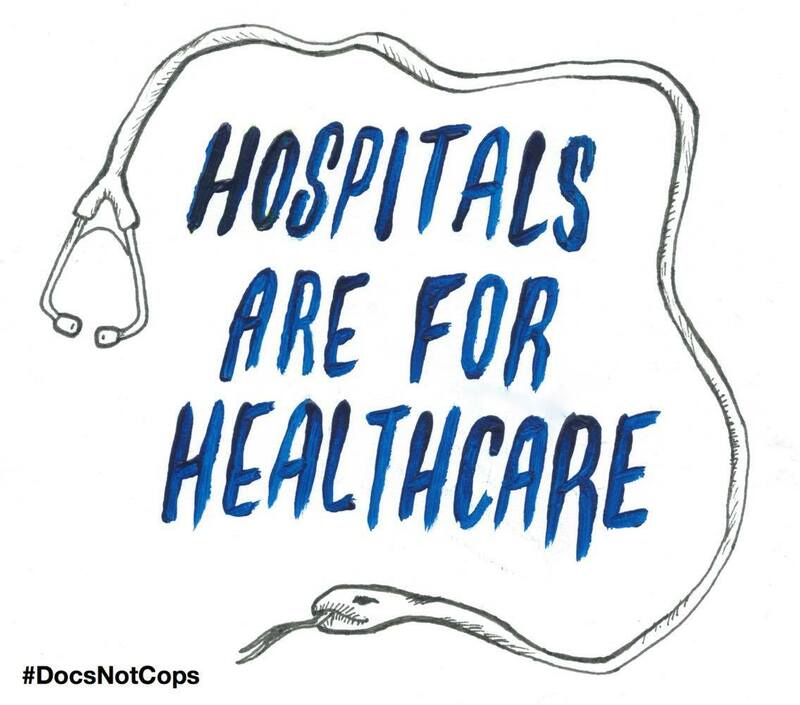 Keep immigration checks out of the NHS! 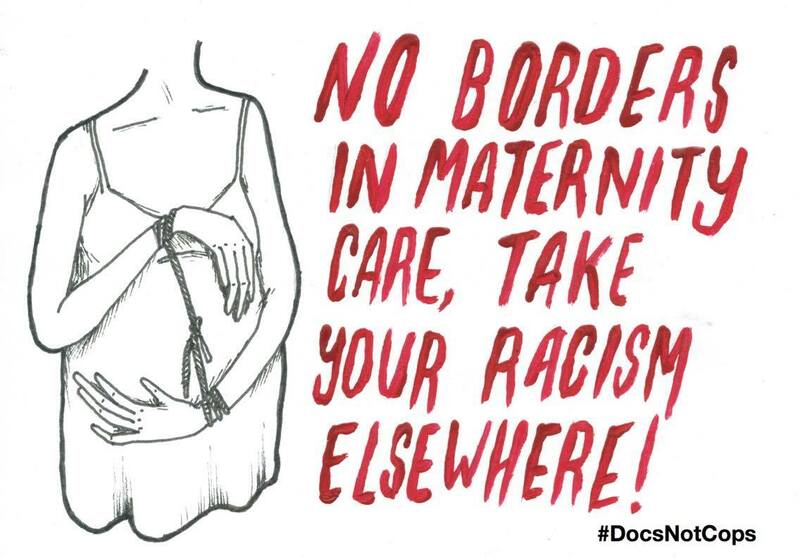 We know that some trusts such as St George’s NHS Trust (@StGeorgesTrust) have piloted these schemes and Barking, Havering, and Redbridge Unversity Hospitals NHS Trust (@BHR_hospitals) have sent threatening letters to women unable to pay for their maternity care, we welcome you to ask them why they are complicit in these racist acts of violence. Please help us to highlight the insidious introduction of immigration checks to the health service. These measures are racist, these measures are violent, these measures will cost people their lives. 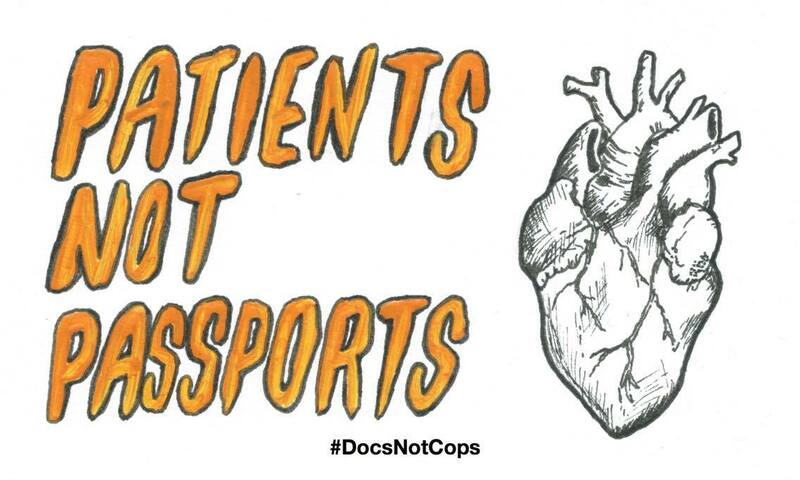 Please join our twitter storm and hold the government to account, we are Docs not Cops!